Are you really expressing yourself -- or are you just dressing a certain way? Are you really showing the world your true self -- or are you just putting on a performance for an audience? So why are so many of us so horrible at actual self-expression? Why is so much of "self-expression" actually just consumerism? In my opinion, it starts when we're young. Most children are encouraged to "express themselves." And, once upon a time, the tools they used to do that were basic toys and materials without a prescribed purpose. They would use blocks. They would build with Legos that came out of a bucket, not a kit. They would use clay, water, paints and crayons. ​They would use dolls and stuffed animals who weren't necessarily a character from a movie with a prescribed name and personality. They would play pickup sports and invent their own games -- making their own rules to address problems as they went. And then! As I wrote in Everything You Think You Know About Child Psychology is ACTUALLY a Marketing Gimmick, kids are inundated with messages about how the way to "be yourself" and "express yourself"... is through buying certain products. 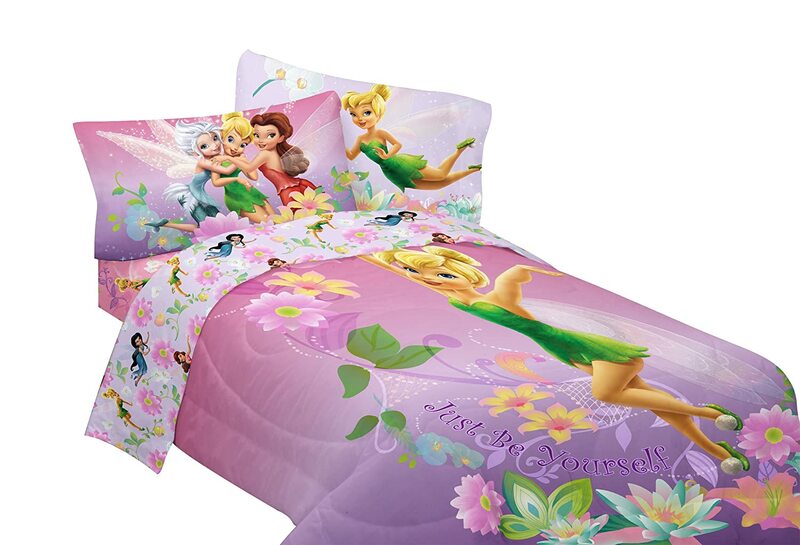 ​Disney Fairies Be Yourself bedsheets! And, of course, Be Yourself (unless you can be Batman) t-shirts! ​If that particular character isn't to your liking, this form of self-expression also comes in turtle, moose, giraffe, t-rex, Goonie, pug, ostrich and many others. Featuring vibrant fashion based on pop culture trends, the brand re-launch will also include revolutionary entertainment content, an immersive digital app, a Bratz emoji pack, and play sets that encourage creative play. Bratz Hello My Name IsTM reintroduces the core Bratz friends, each with an iconic outfit that showcases their individual personalities, and accessories true to their interests and hobbies. Bratz #SelfieSnapsTM lets fans get to know the Bratz friends via their selfie snap styles and fun emoji icons. Each doll comes with tech-inspired accessories, a smartphone and two phone cases. Bratz Fierce FitnessTM showcases Bratz's healthy hobbies in the most fashionable and fun way. Hit the trails with Cloe in her visor, backpack and binoculars or rev up for a race with Jade and her sports bag and hydration bottle. Yasmin is channeling her inner Namaste with a yoga mat and gear. Bratz Study Abroad explores incredible countries around the world. Each doll adopts the culture's traditional fashion and styles those unique elements into her own wardrobe. Bratz #SnowKissed celebrates Bratz's love of fun winter activities. Each Bratz comes ready to hit the slopes in stylish snow gear including an après ski outfit, hot cocoa mug and a sticker sheet to customize their snowboards, sleds or skis. Bratz Create-It-Yourself Fashion Set gives consumers the creative freedom to design their own Bratz fashions with a rotating platform and mannequin to decorate an outfit for their Bratz doll." In other words... "individuality, confidence, self-expression and creativity" can be neatly summed up with fashion, wardrobe, and selfies. Don't even get me started on the fact that we tell young girls that the ultimate form of female bonding is shopping; we keep kids quiet with phones, tablets, games and apps that keep them passively entertained; and we supervise, direct and correct almost every opportunity for play (errr... 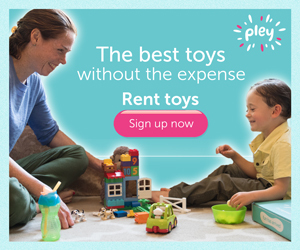 I guess they're called "playdates" now). With self-expression opportunities like these, it's no wonder kids grow up into teens and adults without a clear sense of how to express themselves. For example. Flirting, dating and face-to-face time have gone by the wayside, in favor of the much more overt and instantly gratifying, "Send nudes." Female sexuality has become more about looking and performing a part than, you know, actually enjoying sexual encounters. 1) Passive entertainment -- e.g., binging on Netflix, Amazon Instant Video and social media. ​2) Boredom avoidance -- i.e., doing activities because they're afraid they will be bored otherwise, rather than because they intrinsically want to do said activities. When you do something because you intrinsically want to -- because you're so excited to do or try or improve at something -- it makes you feel joy, pleasure and excitement. When you do something because you're afraid of being bored... you're more likely to feel relief when you meet your goal. What would you rather feel -- joy, or relief? What would you rather be driven by -- passion, or FOMO (that's Internet for "fear of missing out" -- and I'm not 100% sure I've used it correctly in this context, but it seems about right)? So. We're not expressing ourselves through breathless, romantic energy as much anymore. We're not expressing ourselves through leisure opportunities anymore. How are we expressing ourselves? Cool clothes, social media hashtags, and selfies. I know I talk about playfulness all the time. But that's only because it is incredibly important for both your physical and mental health -- why do you think the mental health epidemic in teens and young adults corresponded so perfectly with the disappearance of free play in childhood? Self-expression can be sad. It can be serious. But, a lot of the time, it can also be extremely playful. I express myself through my blog -- I love writing and sharing my ideas. And even though I make money doing it, it's also something that is extremely playful and fun for me. I also express myself through songwriting. I've noticed this trend, lately, where pretty much all of my songs are about going to the beach or hiking in the forest or even surfing. So what? If that's what I love, why would I want to write my songs about anything else? If one single piece of advice ever changed my life, it was this. Follow the 80-20 rule: consume up to 80% of the time, and create the other 20%. I read this on Quora in 2010, and decided right then and there to follow the advice. It's fun to read and learn new things. But why would a smart person like me just consume. Why not take time to process, analyze and form a unique opinion? Why not use what I've learned to contribute to the conversation, and even help improve peoples' lives? ​So I began writing regularly on Quora. And, unintentionally, I began building an audience. I began making connections with some of the most fascinating people I've met -- including James Emry, CEO and Founder of The Best Practice Life, and Eva Mozes Kor, holocaust survivor, Mengele twin and forgiveness advocate. My work was published by TIME, Slate, and the Huffington Post. I was contacted for interviews by radio show hosts and journalists. Eventually, after a lively chat with Alex K. Chen, I decided to launch my own blog -- and the rest is history. Worth noting: I don't just create, and you shouldn't, either. Consumption is important, too. How can you have an opinion about politics, psychology or GMO safety without keeping current on the research and literature? What famous musician or artist can you name who didn't enjoy (and wasn't influenced by) other artists? 3. Examine your social media use. Ask yourself what you're posting -- and why you're posting what you're posting. ​Are you actually expressing yourself, or are you projecting an image for your audience? Another thought: are you adding to the conversation? Bringing awareness or perspective to an issue? Or are you just liking and sharing content that people in your "tribe" are liking and sharing? It's your social media. You're allowed to use it however you want. But. I believe that authenticity will get you a lot more like and respect from your community than humble brags and acting (in the words of Holden Caulfield) phony. 4. Stop being so self-conscious. The biggest thing holding you back from creative self-expression... might be your own hangups. Adults get super self-conscious. We worry about being "wrong" or not clever or funny or artistic or creative enough. In fact! One of the best ways to get adults to actually be creative during creativity exercises... is to handicap them. When you tell someone, "Be creative!" the situation can be intimidating (because they might not be ____ enough) or threatening (because failing at this exercise threatens your identity as a creative person). When you tell someone, "Be creative -- with your hands tied behind your back!" you remove that threat. You remove that intimidation. As I wrote in According to Psychology, There Are Four Ways to Feel Better About Yourself. They Are... one way to feel better about yourself is self-handicapping. In general, self-handicapping is self-destructive. Not studying for a test may make you feel better about not doing well on the test... but you're robbing yourself of a learning experience and closing doors to opportunities. But! This form of "self-handicapping" is actually really healthy. This paves the way for playfulness, silliness and experimentation. "Okay. I want to write a happy, upbeat song -- sad is too easy. I want it to be a duet, because there aren't enough duets. And the lyrics should be, at times, over-the-top, because people who are in love are silly and crazy and over-the-top, and the lyrics should reflect that." When I wrote "Ending First," I told myself, "I want to write a breakup song with a super dramatic key change. And when I wrote "Toothbrush" (I tooootally wrote my Toothbrush before Jonas Whoever wrote his), I told myself, I want to write a song that shows the difference between what we say to each other, and what we want to say to each other -- and I want to do it by writing the song in multiple, distinct parts, a la "Suite: Judy Blue Eyes." Believe me -- this works a lot better than sitting down with a guitar and hoping for inspiration. Another strategy, and this might be a little harder... is to just let go. Stop caring. That is something I have actively been trying to do with my songwriting. I actively, sometimes verbally, remind myself, "If 'I stay out too late/ Go on too many dates / That's what people say-ay-ay' is good enough for Taylor Swift, who is the music industry... then 'Running, jumping, waves and wind / We're making more than castles in the sand' is good enough for me." I also sometimes distance myself from potentially embarrassing lyrics by saying (honestly), "This isn't the final version -- this is just a first draft, so feel free to give suggestions!" The only way I have been able to share most of my songs is by actively not caring if the person I'm playing it for doesn't like it. And this happened last week. During a recent surf trip, my buddy, who had been really moody at me all day, suddenly got super mad at me, and I had no idea why. I thought to myself, "What could I possibly have done to make him so mad? Did I eat my burrito too slowly? Did he not like the CD I was playing in the car?" And then I thought, That would be kind of a funny thing to write a song about. His exact words were, "I don't really like that one. I didn't realize it was literally going to be about burritos." It didn't feel great that I created something and put myself out there, only to get shot down. But I just have to accept that not everyone is going to love everything I write. And, anyway, I respectfully disagree with his feedback. To me, the burrito was the whole point! So, yes. It isn't always easy, but I'm expressing myself in a way I never really have before. I'm sharing it with other people, and I'm having a blast! So that's my two cents on this topic. But I'd love to hear from other artists, writers and self-expressers. How did you get good, or comfortable, or whatever, at expressing yourself? What advice do you have for those who are still struggling? Let me know in the comments!